CentOS vs Redhat: Which One Is Better? CentOS vs Redhat: Who Wins the Battle? Here, we will know about CentOS vs Redhat. Before that, do you have any idea about the Redhat and CentOS? 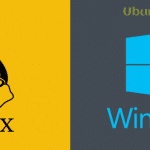 Both of them are the best Linux distros for their particular sector. They become really confusing sometimes. Don’t get me wrong. None of them are complex to use. They’re confusing because they are unbelievably similar. People keep asking about Centos vs Redhat. What should they choose between this two similar distros? Redhat or Red Hat Enterprise Linux (RHEL) is a Linux OS distribution for the commercial market. It’s an open-source based Linux distribution. On the other hand, CentOS (Community Enterprise Operating System) is a community-supported, free and enterprise-class Linux distribution for web hosting servers. There are a massive number of operating systems available out there basing on various users and usages. Each operating system is different from other, so are their users. Different kinds of the user have different types of demand and choice. To some users, the performance is more important than the appearance. But there are also users who will prefer the interface with the performance and compatibility. So, I cannot fix the decision that which OS is better between CentOS vs Redhat. The decision is entirely yours. I just can help you with the facts that you can compare. The journey of RHEL as a Linux distro began in 2000. Now, there are two desktop versions, and five server versions of RHEL are available in the market. Including the desktops, Red Hat has different editions for SAP applications, servers, OpenStack, and also mainframe. It offers the users to download and make a contribution to its source code. Red Hat comes with the support of different workloads in different environments like virtualized, physical, and cloud as well. On the contrary, CentOS first arrives in the market as an RHEL derivative in 2004. It has joined Red Hat but works under new CentOS governing board independent of RHEL. It’s entirely free and 100% compatible with RHEL. 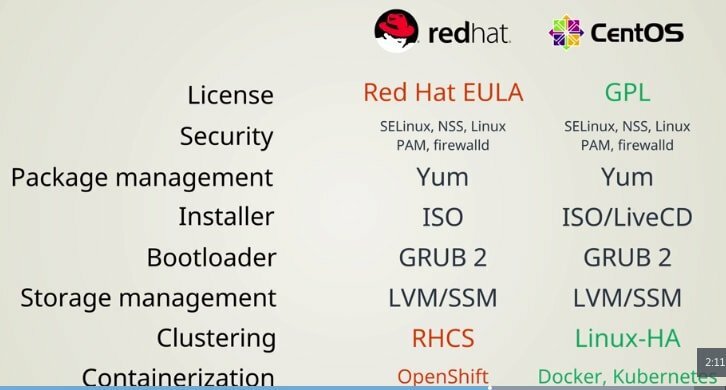 RHEL and CentOS, both are fine crafted Linux distributions. Each of them is reliable, stable and provides the wonderful performance to its users. It’s really hard for someone to choose the one. Even they are so similar that CentOS vs Redhat can easily make you confused. So, I leave the hard part for you. Here, I am going to share you 15 basic facts about CentOS vs Redhat. 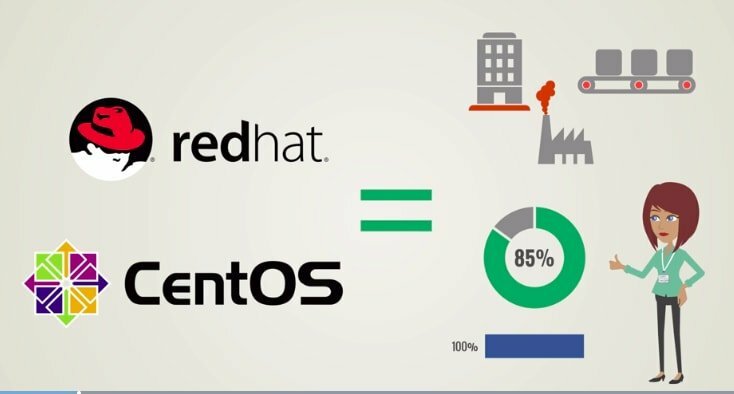 This is the first fact of CentOS vs Redhat. Different versions of CentOS and RHEL requires different system configurations. For example, CentOS version 5 requires minimum 128 MB to operate it via command line. The same version requires minimum 512 MB for controlling it via a graphical user interface. Overall it requires 5GB memory space which is also recommended, at least 1GB. For the command line variant, CentOS version 6 requires at least 392 MB. It requires a minimum 1GB memory space. CentOS 7 has a minimum requirement of 10GB hard disk space and 1GB memory space, though the 20GB hard disk is recommended for better use. On the other hand, Redhat version 5 requires a minimum 1GB RAM and 4GB hard disk where 2GB RAM is recommended. Version 6 has requirements of minimum 2GB RAM and 6GB hard disk space. Version 7 also requires 2GB RAM but at least 10GB hard disk space, but 20GB is recommended for the better performance. Well, both CentOS and Redhat are freely available for you to download and install. Even both their source codes are free for you. But, Red Hat offers official support for all its versions, and you can’t have it freely. You can install RHEL on a workstation or a server, but it requires a subscription for official re-distribution. You need to purchase it. And of course, don’t forget to renew it if you want the subscription every year. Per year the server subscriptions for Red Hat Enterprise Linux start at $349, and it doesn’t include any support from Red Hat. You can also get access to the whole developer toolset and software collections of Red Hat and also RHEL Add-Ons along with the RHEL developer workstation. It will cost you either $299 or $499. Both packages come with different service level agreements. CentOS is entirely free from any kind of cost. But it doesn’t offer any support from Red Hat. The installation processes of both CentOS and RHEL are almost the same. You need to download the ISO image and write it to burn a DVD or USB. Then install the system using that DVD or USB. To install CentOS, there are three main versions are available such as Minimal ISO, Everything ISO, and DVD ISO. Even the installation window and step by step process are also the same. After the installation, you will get look-alike interfaces for both CentOS and Redhat if you install them with the same GUI. For example, if the Installed GUI is Gnome, there will be two bars on the desktop. The top bar contains buttons for Applications, Places, and icons of running apps. The bottom bar only shows the icons of running applications. At the left side on the desktop, there will be some default icons. They also offer a great graphic interface along with a bunch of stuff. Both of them come with way better command line than the Windows. It seems harder to go through CentOS vs Redhat according to the installation process and the basic interface, isn’t it? Both Red Hat and CentOS offers high performance with high speed to their users. Both of them are reliable, stable, lightweight, and robust. It’s very easy for anyone to implement both the operating systems. Unlike Redhat, CentOS doesn’t need any paid subscription. Moreover, CentOS is fully compatible with other Redhat packages. Redhat is a great Linux based operating system for the business environment. And, CentOS is such an excellent operating system derived from RHEL for web applications hosting. People are saying that they found Red Hat easier and simpler than CentOS to install and use for their different working purposes. Red Hat comes with its own software manager called RPM. It’s the package management tool to manage applications. It comes with a user-friendly interface. You can download and install different applications from here. RPM will show you the installed apps in your system. Every single application in the RPM is fully compatible with the Red Hat OS. Like Red Hat, you can handle the software management through the package manager. It works exactly like the RPM. This management tool makes the software management easier for the users, especially for the beginners. Red Hat has its own software source called Red Hat Software Collections (RHSCL). Here, you can get different applications with the latest updated version compatible with Red Hat. It comes with the Redhat support subscription. On the other hand, CentOS provides several repositories as software sources including CentOS Extras, CentOS-Fasttrack, CentOSPlus, Software Collections, and CR. Among these repositories, only CentOS Extras is enabled by default. And if you want to use other repositories, you have to enable them yourself. From here you will get software packages with updated versions. You can install any application from here. There are also some third-party repositories available for CentOS. But, CentOS doesn’t provide any support for them. No matter how old the user is, he or she will expect some default or pre-installed application just after the installation. Red Hat and CentOS comes with some basic default applications for net surfing, taking photos or videos, working with graphics and office. The common default applications are Mozilla Firefox and Cheese. You will find them in both distros. But, CentOS provides with some more pre-installed apps like LibreOffice Tools such as LibreOffice Calc, Draw, Impress, and writer as well. Well, you can download and install more applications like KRuler, KColorChooser, KSnapshot, Gwenview, BlueDevil, Empathy, Alcregator, and many more from the package manager. Well, according to the graphical user interface (GUI), CentOS and Red Hat provide the same preferences. If you’re using the same GUI environment on both the operating systems, the options for handling it or customizing it are same. Let’s talk about Gnome GUI for example. It offers you different customization options including appearance, desktop, workspaces and more. But all these customization choices come from the tweak tool. You need to open the tweak tool, and you will get the options to customize your computer. CentOS and Redhat, both offer different customization choices for their users. You can customize and change different settings as you wish. Well, of course, you have to choose from the given options. You already know that Gnome tweak tool offers various interface customization options. Except that, you can customize your computer from the setting. From here you can customize your desktop and its background, notifications, privacy. You can also customize hardware settings such as Bluetooth, display, sound, keyboard, color and more. There are also choices available for system customization like Date & Time and more. So, with both Redhat and CentOS, you can see things how you want to see them on your computer. You will get two desktop environments with both Red Hat and CentOS. At the beginning of the installation, they will give you options to choose between two desktop environments: Genome and KDE. You can choose any of them. If you want to use some other desktop environments, you can go with Cinnamon, MATE or Xfce as well. Both the operating systems support these three desktop environments. You can download and install them via yum. CentOS and Red Hat both provide you with the option for updating the installed software and the entire system. It offers you two ways to update. You can go to the application and there you will get system tools. The system tools contain software update option. Another way to update any particular software or the whole system is yum. You can update via yum using respective command lines. You can even check if there’s an update via yum. You just need to know the accurate command line. Well, none of the given operating systems have a scheduled release cycle. There is no fixed period between the two versions. But CentOS follow full updates and maintenance updates cycle. The latest version of both Redhat and CentOS was released on 10th April 2018 and 10th May 2018 respectively. People are sharing their personal opinion and reviews about CentOS vs Redhat. According to the reviewers, CentOS is better for the small and mid-market business. They chose Red Hat for the large business environment. Although they admitted that both of them provides high performance and high stability, they gave the advice to choose CentOS if your business is new and small. If you love to play games on your computer, I will suggest you go with the Red Hat. CentOS is actually such an operating system which doesn’t include games in its priority list. On the other hand, you can play games on Redhat, but you have to install the Redhat supported game packages you want to play. Moreover, users can always play games on steam online and offline. You already know that CentOS is a community-supported entirely free Linux distro. But Redhat has the commercial support. If you want a certified, supported platform, Red Hat should be your choice. Otherwise, you can go with CentOS for your project development. So, CentOS vs Redhat, what will you choose? 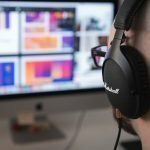 After reading this article now you are actually confused, right? Well, if so, I won’t blame you. They confuse me too. But the fact is I have no personal issues with either CentOS or Redhat. It doesn’t matter what I think. I was just sharing the important facts you should consider before choosing one of them. If you are a new user, it will be best to try them both and know personally which one is better for you. These distros seem almost the same, but they actually have differences. You will understand those differences when you will use them personally. If you can be satisfied with the free community supported CentOS, give it a try. Otherwise, you can go with the Red Hat and get its official support through paid subscription. The choice is only yours. Leave your comments below and let us know your thoughts, experiences, and suggestions about CentOS vs Redhat. 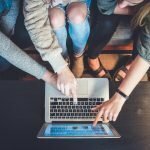 If this article helps, please, share it on social media. With RHEL, you can get security updates for any particular RHEL minor version. You don’t get that with CentOS: your only choice is to upgrade to the most recent version. For companies, this makes a BIG difference. Just a fun fact. RHEL bought the CentOS group two years ago. So you are really arguing the two sides of a coin. But, I agree, they both have their strong points. In my professional experience, I have seen them both perform well under heavy enterprise use. Red Hat is very popular in big, corporate environments where certification is an issue, but it may also fit in smaller environments. For example, an organization with only one or no sysadmin may be willing to pay the subscription so that they can call Red Hat if a problem occurs instead of searching for days. On the other hand, businesses with large teams if sysadmins or devops staff may have enough internal knowledge to not need a support subscription from Red Hat. By the way, I have been using Red Hat systems for more than 10 years and their support is the best of all my vendors. The containerization part isn’t quite correct. You can run OKD (OKD is to OpenShift as CentOS is to RHEL) on CentOS perfectly fine, and Kubernetes works perfectly on RHEL. Just a note, RHEL and CentOS are not 100% compatible as, among other things, they do not share an ABI.